The Semi Final of the 2019 Antoine Choueiry Cup will see Riyadi facing Atlas in the first confrontation and in the 2nd Homentment will face Moutahed. In the quarter final round Riyadi managed to win vs Sagesse on the score of 76-99. 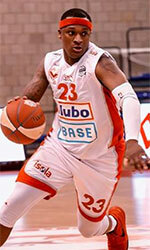 Sagesse played the game with two new foreign players (Guarnette Thompson & Aaron Williams). Riyadi dominated the game from its first minutes and cruised to an easy win in the end on the score of 76-99. Justin Brownlee led all scorers with 37 points . On the other side Aziz Abdel Massih led his team with 21 points. (Q1: 19-23 , Q2:34-46 , Q3:54-71 , Q4: 76-99). In another game in the quarter final the battle between Atlas and Hoops was a close one but the Bekaa team managed to score a very important win on the score of 85-90. Willie Warren had another big game leading his team with 30points but this performance didn't help Hoops to advance to the semis due that duo Darien Towns ( 19 pts) and Ghassan Nehme ( 20pts) had another word and they carried their team to a win on the score of 85-90. (Q1: 15-21 , Q2: 32-42 , Q3: 65-68 , Q4: 85-90). Homentmen in their way to the semis faced the Lebanese Army team ( Division Two team) , the Lebanese champions had to play this game without their foreign players due that the regulations consists that Division one teams are not allowed to play their foreign players in case facing teams from other divisions. Homentmen local players managed to have a big win on the score of 52-85. Gerrard Hadidian led his team with 22points followed by Elie Stephan with 16. (Q1: 14-20 ,Q2: 33-44 , Q3: 45-73 , Q4: 52-85). 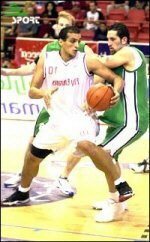 In the last game of the Quarter Final round Champville faced Moutahed , the regular season leaders rested their foreign players with Fadi El Khatib for this game , Moutahed managed to score a big win and advanced to the semi final stage , Four players from Moutahed finished with double figures but Omar Ayoubi led the team with 15 points on the other side Nadim Souaid led his team with 14 points . The game finished on the score of 73-56. (Q1: 15-11 , Q2:37-24 , Q3: 48-36 , Q4: 73-56).